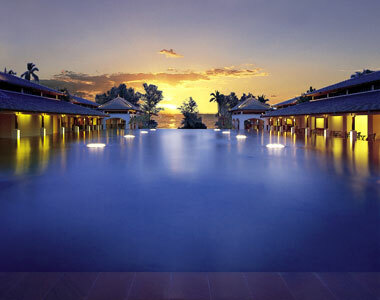 Phuket is located approximately 850 kilometres south of Bangkok. 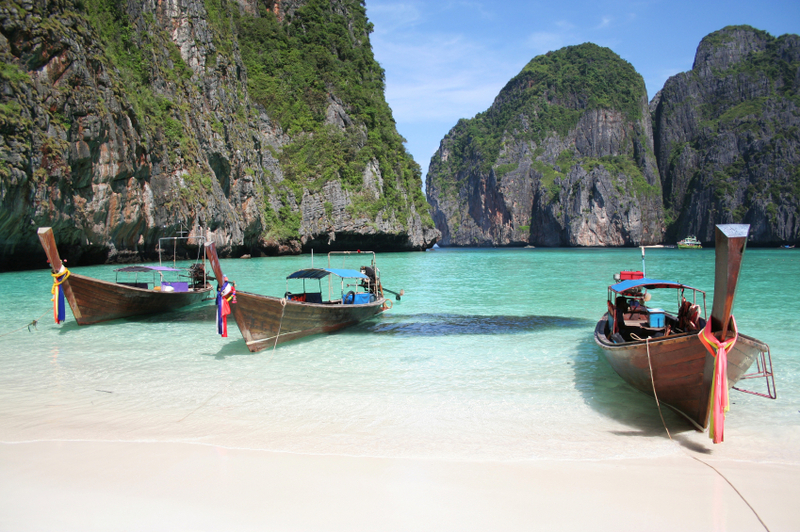 Phuket is the largest island in Thailand and is often referred to as the pearl of the Andaman or the pearl of the south. The island of Phuket is 48 kilometres (approx 34 miles) north to south and 21 kilometres (approx 16 miles) east to west. Phuket has a chain of mountains and valleys that lie on the west coast. The mountains account for 70% of the land area, the highest point is Mai Tao Sip Song (12 Cane Peak) at 529 meters. The remaining 30% of Phuket is flat land, located predominantly in the central and eastern areas. The terrain in Phuket is exceptionally varied with rocky headlands, endless sandy beaches, limestone cliffs, forested hills, blue lagoons, and tropical vegetation. The deceptive size and varied heights has allowed microclimates to develop in provinces of the island. 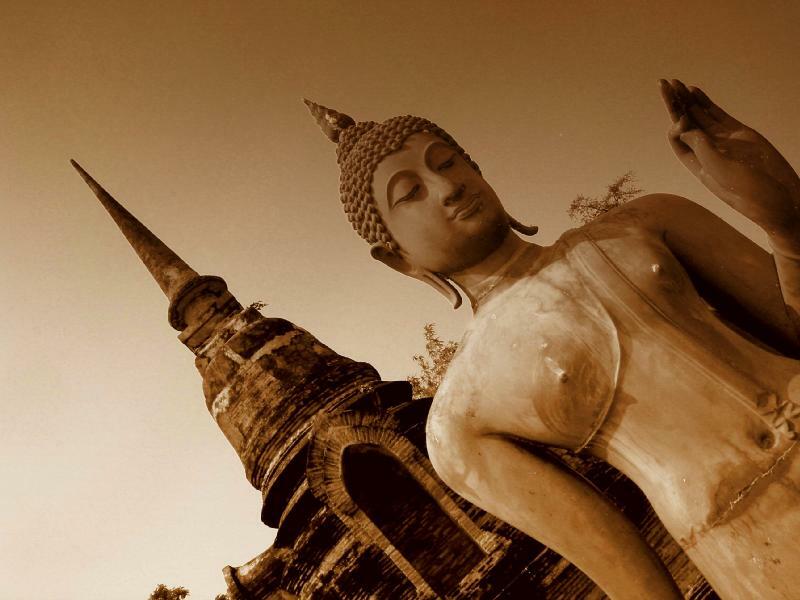 Phuket is an island of beauty and contrast, which offers an outstanding opportunity for exploration and discovery. For example, Kata Beach is open and wide, while in contrast just a few kilometres north the Nai Yang Beach is lined with stately cassurina trees. From the Khao Phra,Thaeo national park rainforest to the mud flats and mangrove swamps of Koh Siray. The east coast is lined by limestone while the west coast is dominated by solid granite boulders. The wonderous contrast of Phuket has makes it an ideal holiday or investment location as it has something for just about everyone. The island of Phuket has a great deal more to offer visitors than just its natural heritage sea, sand, sky, beach, forest, and world renowned diving sites. There are elaborate Chinese and Thai temples, public markets and stunning examples of Sino-Portuguese architecture, while the "Phuket-style" hospitality will always please. For seafood there is nowhere better, Phuket's lobster, swordfish and shell fish are world renown. Language Thai is the official language. English is widely spoken. Japanese, Russian, French and German guides available. Time Zones: Thailand is in the South East Asia region: GMT+7 hours. Weather Seasonal temperature ranges from 23 to 33°C. visit our Phuket Weather pages for more information.